A Retirement Investment Reader, John Edwards, yesterday kindly sent me a copy of his EBook Slow & Steady Steps from Debt to Wealth . It’s a very easy read and at a little over 7,000 words can be devoured for the first time with a cup of tea. That said, doing something with the common sense approach will certainly take a little more time... I’ve been on a similar journey to the one described and I’m now 5 years in and still learning. I’m plugging it because there is lot of commonality with the message I try and promote on Retirement Investing Today. The difference is that I fear that I sometimes over complicate the problem where John lays out a series of steps that go from debt (this site doesn’t really cover debt and instead starts with someone possessing £0) to a healthy investment portfolio. 1. Avoid Debt. One sentence rams it home – “The first step to financial freedom is to avoid debt in the first place”. I couldn’t agree more. 2. Over Consumption. We are encouraged to answer two questions – “Do I really need this?” and “Do I really want this?” I probably push this concept more than most people could tolerate but it’s one of the ways I can regularly save 60% of my earnings. 3. Start Saving. 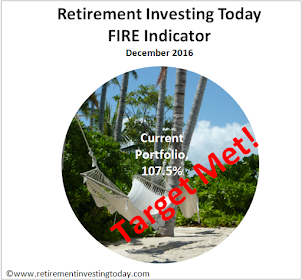 This was the starting point in my KISS Investing for Retirement post. 4. Pension. “I had a variety of pension pots ... none were performing all that well and one reason for this was the high charges being levied every year.” I also believe that it is critical to minimise those charges and have it as one of the fundamentals of my Low Charge Strategy. I don’t understand how people can be so blasé and just accept say a 1% charge without question. Given that a reasonably balanced portfolio might only on average return 4% after inflation you could be giving 25% of your return away. John also makes another good point with the statement people “often don’t fully appreciate how much they need to save”. 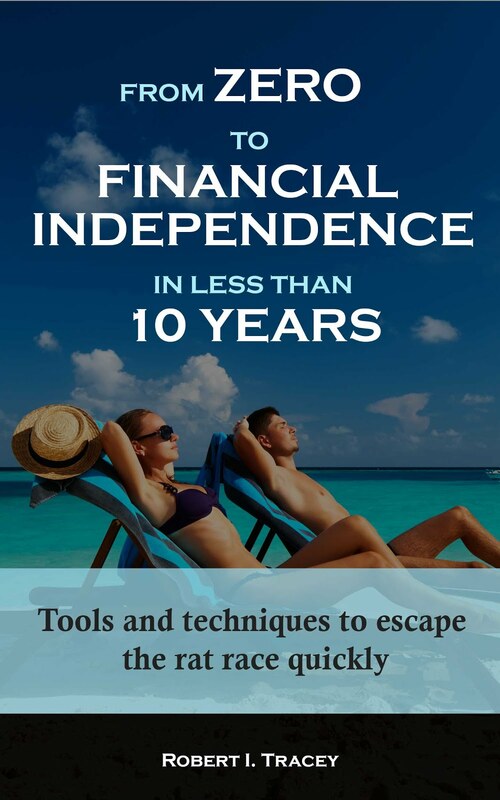 My belief is that you are not going to reach true financial independence early by saving 10% a year. 5. Attitude to Risk & Asset Allocation. Covers the usual asset class suspects. 6. Bonds and Fixed Interest. My preferred poison here are Index Linked Gilts and NS&I Index Linked Savings Certifiates. John however also discusses Corporate Bonds and Permanent Interest Bearing Shares (PIBS). 7. The Stockmarket. Covers Unit Trusts and OEIC’s, Investment Trusts (IT’s), Exchange Traded Funds (ETF’s), Direct Shares and Index Trackers. I personally am using all of these methods with the exception of IT’s with my own personal investments. 8. How I Generate Income from the Stockmarket. “Having tried many styles of investing over the years, I have come to the conclusion that the key to securing a decent return is firstly focus on dividends and yield rather than share prices...” Within this chapter one of the methods John describes is a Direct Shares method of investing that is not unlike the HYP I am building. So if you are looking for a concise (37 pages or so) and easy to read starters guide then at only £1.95 this might not be a bad place to start. I wonder if you have had some analysis on why would one have HYP with 15 years to retirement... This seems somewhat counterintuitive to me as distributions would incur some taxes on corp level at least. This would lower valuation of the position in long or even mid term. I haven't conducted any personal analysis (good suggestion for a post in the future though) on the topic but I can give two references and an anecdote. A HYP's first priority is to develop a stable income stream with dividends that grow at a rate faster than inflation. It's second priority is to maximise capital growth. Why would somebody have a HYP with 15 years to retirement? Only that person could answer the question but if I was asked I would say because dividends matter. Note: I personally started my HYP building with about 5 years to retirement (financial independence). 1. Tim Hale in the first edition of Smarter Investing (you can get access to the book through the Books That Helped Me tab below my banner above) makes the point that "a significant proportion of returns come from dividends you receive from your equity investments. This may be contrary to the belief that has grown up over the past couple of decades where changes in price seemed to contribute far more to returns than dividends. In the long run, that simply is not the case." He then provides a historic example for UK Equities. A person investing £100 in 1900 and relying only on capital growth would have only £162 by 2003. Add reinvested dividends into the mix and that £162 becomes £22,438. 2. John in the EBook reviewed above makes a similar point with "Bear in mind that many long-term studies consistently show that around 90% of stock market returns come from dividends (and growth of dividends) and only 10% from increases in share price. Therefore doesn't it make sense to base your investment focus on dividend yield rather than price movement?" Now the anecdote. As I mentioned in my HYP review on Friday my own experience is that while getting a dividend yield that is far above the FTSE100 (which has now been reinvested) I have also succeeded in getting a capital gain slightly above the FTSE100. So I'm getting the dividend but also at least matching the markets growth. It's only the result of a little over a year worth of investment so is not statistically significant but it demonstrates I am currently meeting the two priorities of a HYP. I hope that answers the question? Somehow I thought you have 15 years to retirement, but if this is less then 5 years, then it makes sense. Income, either div or interest is the way to go to grow the portfolio value with simultaneous limiting short term downside due to market volatility. My interest is how to re-balance portfolio for the next year (something I do every year in Dec) to improve the yield based on current macro economic forecasts like Blackrock predictions for 2013. I have 20 years left to work (hopefully more as I like it ) so emerging markets, small caps and other aggressive asset classes are under close watch. How does your HYP compare with professionally run income funds? I would find individual stocks risky and would invest in an income fund if I were less than 5 years to retirement. Just to clarify with a fair wind retirement is now about 4 years away (I started the HYP with about 5 years to run). 1. I tried trading and found I was no good at it. There's a post about under the Popular Posts tab. 2. I believe there are way to many vested interests out there who have their own and not my interests at heart. Instead I have built My Low Charge Portfolio which I lay out for all to see on this site. It is mechanical, low expense, non-emotional, tax efficient and allows for derisking of my portfolio as I age. It relies only on my own data analysis which I also share on this site. Please remember that my HYP only makes up 3.2% of my portfolio today. Everyone has a different perspective on risk but for me I'm happy with the allocation. It of course will grow in percentage terms as I add to it as part of my Equities over the coming years. Portfolio re-balancing is a strategy to use once or twice a year to bring your actual allocation in line with your planned allocation. Your planned allocation would depend on the time left till portfolio redemption. 2) or somewhat more challenging, use some information about next year to re-balance allocations to add more weight to asset classes which could grow better then others. Since this is very high level, vested interests should not be an issue. Actually, I think there are 2 re-balancing activities. One is to change weights for already existing positions, the other is to assign weights to monthly purchases. The latter is to buy assets with unjustifiably lowered valuations. For instance, I changed relatively high percentage to EU equity around a year ago in my monthly subscriptions to make use of lower valuations of EU stocks due to crisis. - when an asset class moves away from target by 25% I sell/buy as required to rebalance. This is all laid out in detail in the My Low Charge Portfolio post. In my reply above I was more interested in what you numbered 2 above. Although I interpret this a little differently from your original comment. The original comment mentioned rebalancing based on "macro economic forecasts" where above yoe mentioned rebalancing based on "asset classes which could grow better than others". Both of these are different things IMO. My (limited) experience suggests that economics and hence "macro economic forecasts" have no (or at least limited) bearing on how the markets behave. The market can remain irrational longer than you can remain solvent springs to mind here. Also once you and I know about the economic forecast the vested interests have already positioned themselves for it so how can we gain. The "asset classes which could grow better than others" rebalancing I definietly do and agree with. This is the tactical portion of my portfolio which is based around cyclically adjusted PE ratio's (CAPE's or PE10's) where I am under/over weight equities as applicable. This is of course a mechanical system and is definitely non-emotional. Well, I would probably disagree on zero or very lower correlation between market and fundamental forces of economy such as central banks/fed reserve actions. One can forecast what monetary policy would be based on some fundamental parameters of economic activity. This monetary policy change, in turn, would trigger move of money from one asset class to another. Sure, there is market mood, but this also can be taken into account.